This caddy is a Plano 14" x 9" x 3 1/2" box with two foam pads with 24 pins. Place the rear hook into the notch on the top of the pad and wrap the harness around the pad into the notch in the bottom and secure the leader loop to the pad with the accompaning pin. Twelve harnesses per pad, two pads, 24 harnesses secured. 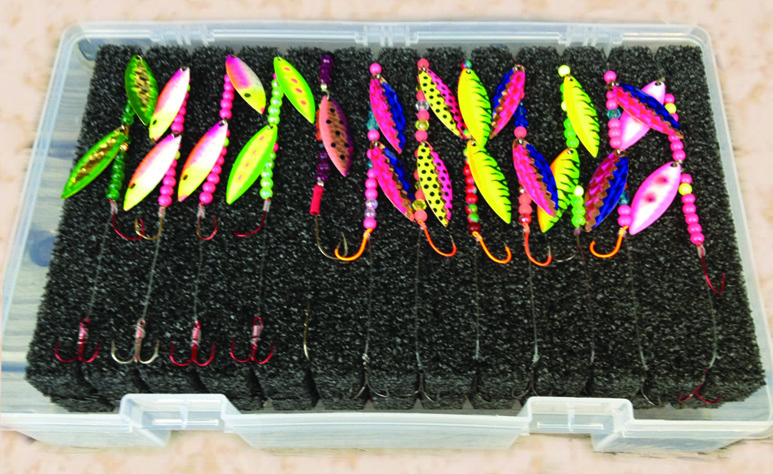 Baits in picture are not included.